The Most Admired CEO Awards honored Pinnacol Assurance’s own Phil Kalin as an outstanding chief executive in the Denver metro area. Honorees are given the award based on their contributions to the company they lead as well as to the community in which they serve. Hallmarks of an outstanding and admired CEO include a commitment to financial success, quality, workplace wellness, diversity, and philanthropy. An independent panel of individuals from various industries and Denver Business Journal editorial staff judged the nominees. Each year, the Champions of Change award is presented to companies that shape the future by advancing women in business. Pinnacol was named a top change-maker in the community and received the 2018 Champions of Change Innovation Award. The awards identify companies and organizations of various sizes that are actively and strategically advancing women in business through their commitment to an inclusive, supportive, and empowering culture. Ventana Research recognized Pinnacol Assurance’s software and robotics solution with a 2018 Digital Leadership Award. The annual award program honors technology leaders that have transformed business or information technology processes. Ventana Research is a respected benchmarking business technology research and advisory services firm. Learn more about the solution. Strategy Meets Action, a national advisory and consulting firm specializing in future-focused insurance providers, honored Cake Insure with its 2018 Innovation in Action Award, presented to companies shaping the future of the insurance industry through technology and visionary thinking. SMA recognized Cake for excelling in six of its Seven Fundamentals for a Future-Ready Organization, including utilizing emerging technology, providing a superior customer experience, and innovation. 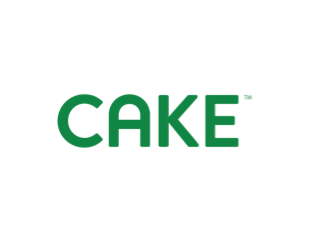 Read more about Cake’s award-winning attributes. Each year, Business Insurance recognizes women leaders doing outstanding work in risk management and commercial insurance worldwide. Business Insurance readers nominate candidates for Women to Watch, and a panel of Business Insurance editors selected the honorees based on those nominations. Kranz joined Pinnacol in 2008, and as vice president and chief financial officer, she oversees the financial reporting; business planning; and enterprise risks, audits, and actuarial functions of Pinnacol Assurance. Recognizing Pinnacol Assurance’s progression from Colorado’s foremost workers’ compensation provider to a nationwide leader in the insurance field, Aon plc named Pinnacol to Ward’s 50 list of best-performing property-casualty insurance companies in the United States. The annual list ranks insurance providers according to best practices, service, and operational and compensation metrics. The award places Pinnacol Assurance in the top 2 percent of the nearly 3,000 property-casualty insurance providers Aon plc evaluated. Read more about the selection criteria. For the second time in two years, Terry Leve was nationally recognized by his peers as one of a select group of general counsels chosen as winners of the 2018 Top General Counsel award. Presented annually by the First Chair legal organization, the award recognizes general counsels who demonstrate exemplary leadership at their companies and in their communities and a commitment to the highest ethical standards and professional excellence. LWCC has been named to the 2018 Ward’s 50 group of top-performing property-casualty insurance companies by Aon plc, which is a leading global professional services firm providing a broad range of risk, retirement, and health solutions. Ward is the leading operational and compensation benchmarking and best practices service for insurance companies. LWCC is recognized for achieving outstanding results in the areas of safety, consistency, and performance over a five-year period, 2013-2017. This is the thirteenth time since its inception that LWCC has been recognized with this honor. Each Ward’s 50 company has passed all safety and consistency screens and achieved superior performance over the five years analyzed. LWCC has been named as one of the 2018 Best Places to Work in Baton Rouge. The awards program is a project of the Greater Baton Rouge Business Report, the Greater Baton Rouge Society for Human Resource Management, and Best Companies Group. This survey and awards program was created in 2014 to identify, recognize, and honor the best places of employment in Baton Rouge, benefiting its economy, its workforce, and businesses. Companies from across the region entered the two-part process to determine the Best Places to Work in Baton Rouge. The first part consisted of evaluating each company’s workplace policies, practices, and demographics. The second part consisted of an employee survey to measure the employee experience. The combined scores determined the top companies and the final rankings. Best Companies Group managed the overall registration and survey process in Baton Rouge and also analyzed the data and used their expertise to determine the final rankings. 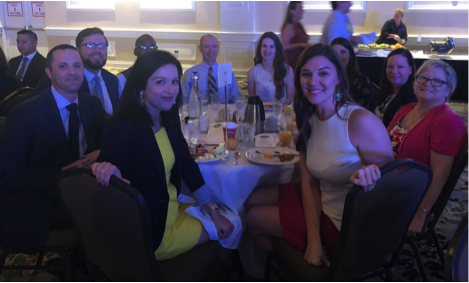 The rankings of the winning companies were released on the morning of September 25 at the Best Places to Work in Baton Rouge Breakfast, hosted by the Greater Baton Rouge Business Report. For more information on the survey process for the Best Places to Work in Baton Rouge program, visit www.BestPlacestoWorkBR.com. Caption: LWCC employees collected school supplies for Baton Rouge area children. Supplies were donated to the WBRZ Stuff the Bus campaign. 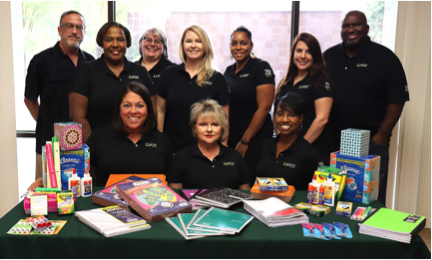 LWCC employees helped give back to the children in our surrounding community by participating in Stuff the Bus, a school supplies drive benefiting schoolchildren in the Baton Rouge area. In just three days, employees collected an incredible 970 items, with a total estimated value of $2,152. Stuff the Bus is hosted each year by Baton Rouge ABC affiliate WBRZ. The campaign collects school supplies to assist parents and teachers in the local community to give their children the adequate tools they need to succeed. This year, WBRZ’s Stuff the Bus drive collected nearly $40,000 worth of goods and stuffed four buses full of supplies. LWCC recently enhanced its employee wellness program to include the Eat WELLWCC meal service. The company partnered with Baton Rouge General, a Baton Rouge area hospital known for its exceptional cafeteria, to offer daily breakfast and lunch service on site at an affordable price. Baton Rouge General’s “clean eating” approach provides healthy, convenient, and cost-effective meals for employees. “Clean eating” encourages consuming more whole foods—such as fruits, vegetables, lean proteins, whole grains, and healthy fats—and limiting highly processed snack foods, sweets, and other packaged foods. The focus is on quality foods instead of calorie counting as the basis for a nutritious diet. LWCC began offering Eat WELLWCC lunch service in January and added breakfast service in late August. The responses and feedback have been extremely positive, and participation in the service has remained steady. Many employees love the convenience but also reap the benefits of a healthier, cleaner diet. More than 17,000 Maine employers will receive $22 million in dividends this November from The MEMIC Group. “With this record dividend, MEMIC will have returned more than a quarter billion dollars to Maine employers since 1998,” said MEMIC president and CEO Michael Bourque. 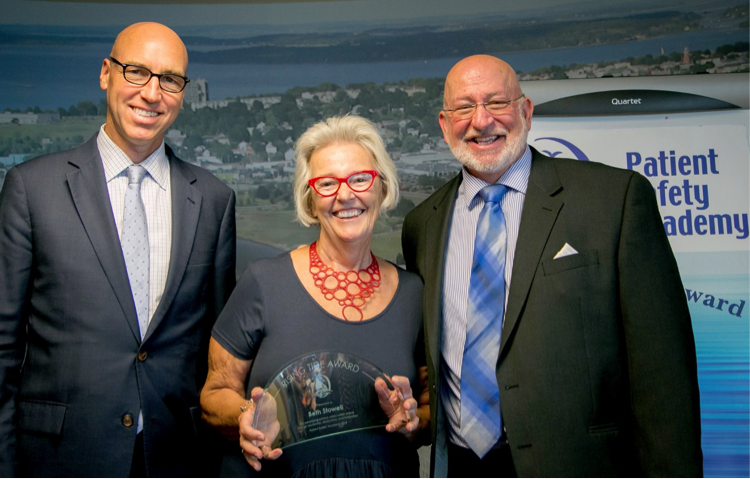 Beth Stowell has been recognized for her leadership, dedication, and innovation with the Rising Tide Award at the 9th Annual Patient Safety Academy, put on by the Muskie School for Public Service at the University of Southern Maine. For more than 30 years, Stowell, a senior MEMIC loss control consultant to the health care industry, has worked to improve safety for patients and their caregivers. Left to Right: MEMIC president and CEO Michael Bourque with Rising Tide Award recipient Beth Stowell and senior vice president of Loss Control & Safety Services Karl Siegfried. 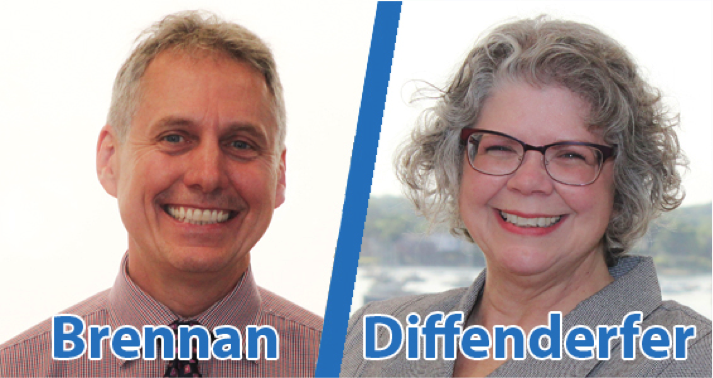 As safety management consultants, Susan Diffenderfer and Thomas Brennan will support The MEMIC Group’s continued growth in the Pennsylvania and New Jersey markets. Diffenderfer is a licensed physical therapist with nearly 30 years of experience in industrial health, geriatric care, and wound care in a wide range of settings, including home health, acute rehabilitation, skilled nursing, personal care, outpatient, and hospital. Brennan has more than 20 years of occupational safety experience in the manufacturing and insurance industries working on a wide array of safety and health issues, including OSHA compliance, industrial hygiene, ergonomics, safety training/orientation, and accident investigations. He has effectively supported organizations in a broad range of industries, including healthcare, hospitality, retail, transportation, construction, and agriculture. Donald Crawley, CPA, was recently promoted to vice president, statistical analysis and reporting. In this new position, Mr. Crawley will help Chesapeake Employers Insurance fully transition to NCCI by overseeing ratemaking, reserving, statistical analysis, and reporting for the company. He is also responsible for collaborating and interfacing with other departments to advance corporate initiatives. Previously, he served as the company’s director of internal audit. 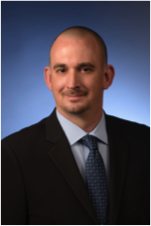 Stephen Friedman, CPA, CIA, CISA, CPCU, was recently promoted to director of internal audit. Mr. Friedman helps ensure the financial security and integrity of Chesapeake Employers by performing advanced level internal audits as a key component of the corporate governance structure. 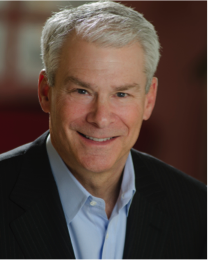 Mr. Friedman also provides professional advice on financial, security, and integrity issues to the president and CEO, senior management staff, audit staff, and board of directors. Prior to his new position, Mr. Friedman was director of security and privacy for the company. Brian Furr was recently promoted to vice president of legal services, premium audit, and special investigations. In this position, Mr. Furr works with internal and external partners to protect the financial interests of the company and its policyholders. Previously, Mr. Furr was assistant vice president of legal services. 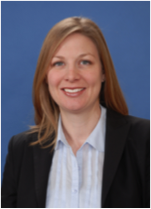 Alaina Liberto was promoted to chief information officer. In this position, Ms. Liberto establishes and executes the information technology strategy for Chesapeake Employers and develops innovative strategies that address the changing marketplace and customer demands. Previously, Ms. Liberto was director of the company’s Project Office. 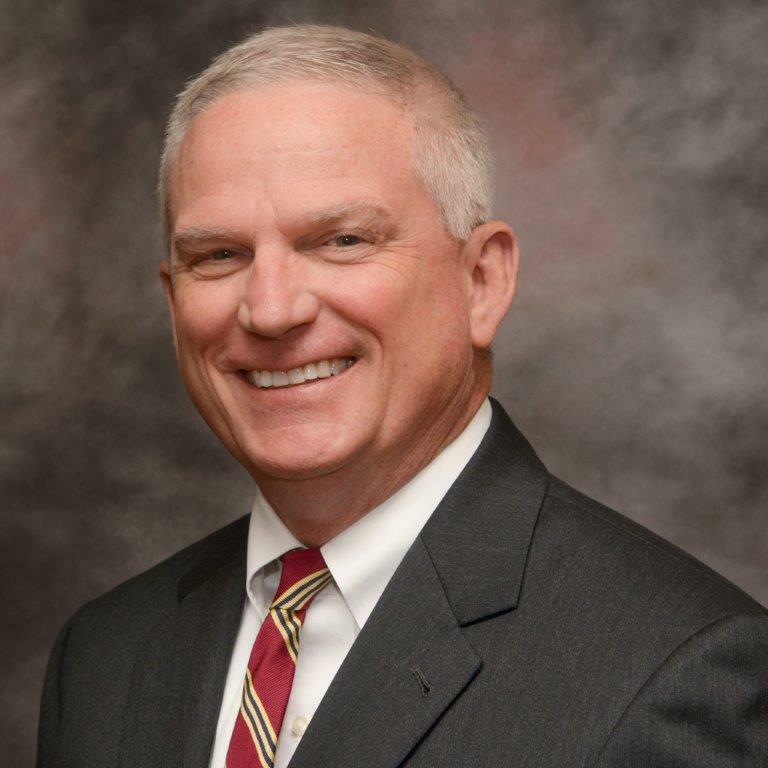 The SFM Mutual Insurance Co. board of directors has named Terry Miller president and chief executive officer of the organization. Miller’s promotion, effective November 5, is the result of a leadership succession strategy that has been in motion since 2015. 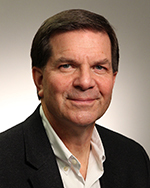 Miller has worked at SFM for over 30 years, serving as the company’s original controller. He has since risen through the ranks, becoming vice president of accounting, vice president of finance, and then senior vice president and CFO. Since April 2016, Miller has held the position of executive vice president and chief operating officer. Miller’s appointment comes as SFM president and CEO Bob Lund steps down after leading SFM since May 2007. After a remarkable tenure of leadership at SFM, Lund has chosen to enter a new “career adventure” in private law practice that will allow him to perform pro bono work in the elder law area, among other services. Before his 12-year stint as president and CEO, Lund was vice president and general counsel. During his time at SFM, he said he’s enjoyed working together with employees to develop a culture of caring for customers and the community at large. Miller is a certified public accountant and holds the chartered financial analyst designation. 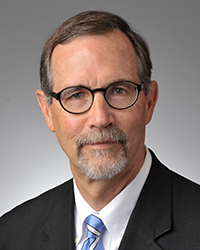 He serves on the board of directors of the Minnesota Workers’ Compensation Reinsurance Association; The Insurance Federation of Minnesota; and Small Sums, a Saint Paul, Minnesota-based nonprofit. He recently was on the board of the Minneapolis Urban League. He’s also a member of the Minnesota Society of CPAs, the American Institute of CPAs, the CFA Institute, and the Insurance Accounting and Systems Association. Miller graduated with honors from the University of Minnesota–Duluth with a bachelor’s degree in accounting and received a master’s degree in business administration from the University of St. Thomas. “Terry’s exemplary history with the company and his involvement in every aspect of the operation over the past two decades assures SFM, their agents, and their clients that the company has a great leader in position for the future,” said Mars. SFM, headquartered in Bloomington, Minnesota, is a customer-owned mutual insurance company providing Minnesota, Wisconsin, Iowa, Nebraska, and South Dakota employers with workers' compensation coverage. SFM offers workers' compensation insurance solutions for employers of all sizes, including claims and disability management, cost containment, legal assistance and third-party administration. For more information, visit sfmic.com. Montana State Fund’s board of directors recently declared a $40-million dividend, which will be shared by approximately 23,200 policyholders. This dividend represents an average return of 28.4% premium paid for policyholders receiving a dividend. Since 1999, MSF has returned $256 million of total dividends. In addition to providing dividends as a return of premium to our customers, MSF has reduced premium rates or held the rates steady since 2007. In that time, premium rates have been reduced by 42% and are currently at the lowest level in the history of the Montana State Fund. 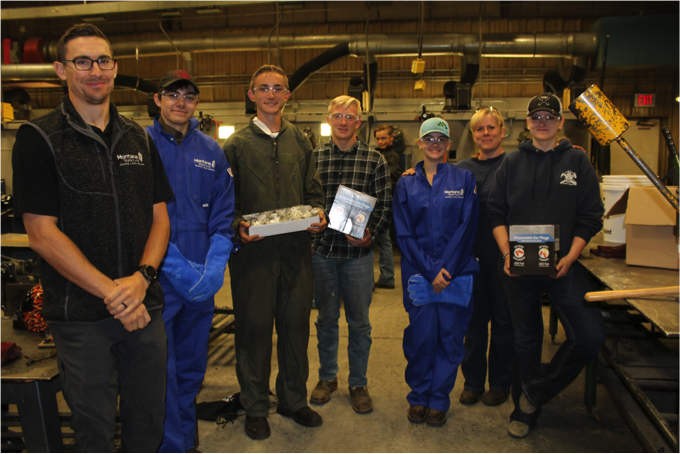 Over 1,800 high school students in construction trade and industry classes at 17 Montana schools will be that much safer this year through MSF’s Growing a Safer Montana equipment grants program. Montana has some of the highest rates of workplace injuries in the nation, leading to MSF partnering with Montana’s high schools to communicate the importance of safety in the workplace for the next generation of Montana’s workers. The goal of the program is to give safety gear and safety information to students and teachers so that they have the tools they need to champion safety, both in their classrooms and in their future professional endeavors. A safety professional from MSF traveled to each of the high schools to hand out safety gear to the students. Gear included work gloves, welding gloves, welding helmets, face shields, coveralls, hard hats, safety glasses, fall protection gear, safety vests, and ear plugs. In addition, they supplied the teachers with safety materials they can use to reinforce safety awareness in their classrooms. Since the program began in 2017, 2,631 high school students have received help from this safety gear program. NYSIF announced the appointment of Dr. Dennis Kessler to the NYSIF board of commissioners. Dr. Kessler was nominated by Governor Andrew M. Cuomo and confirmed by the New York State Senate on June 20, 2018, for a term of three years. Dr. Kessler has 30 years of experience in restaurant ownership, real estate, and human resource development and co-owns Kessler Restaurants LLC. At one time, Kessler Restaurants was the largest franchisee in the Friendly’s Restaurant chain and, coupled with the company’s numerous Burger King operations, employed approximately 3,000 people in central and western New York. The company now specializes in commercial real estate development. 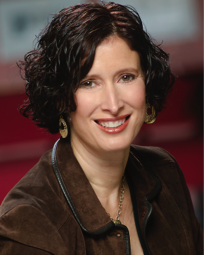 Dr. Kessler holds the Edward J. and Agnes V. Ackley endowed chair as Clinical Professor of Entrepreneurship at the University of Rochester Simon Business School. 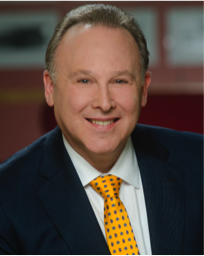 Dr. Kessler is a former member of the board of trustees of the University of Rochester Medical Center and past chair and commissioner of the City of Rochester Civil Service Commission. 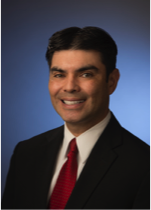 He is currently a member of the board of directors of Excellus Blue Cross/Shield of Western New York, president of the Rochester Police Foundation, an advisory board member to Junior Achievement, and an inductee in the Rochester Business Hall of Fame Class of 2006. Dr. Kessler holds a B.S. from the City University of New York, an M.A. in sociology from John Jay College, an M.S.L. from Yale Law School, and LL.M and S.J.D. degrees from Northwestern University Pritzker School of Law. NYSIF executive director Eric Madoff announced the appointment of Joseph Mullen as director of Policyholder Services Business Operations. Mr. Mullen succeeds John Massetti, who retired on July 13, 2018, after 37 years of service. In his new role, Mr. Mullen will oversee NYSIF’s statewide Underwriting, Premium Audit, and Field Services operations, along with statewide PHS business office operations. Mr. Mullen will work together with the director of claims business operations, Robert Sammons, to oversee NYSIF business operations throughout the state. 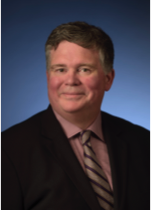 Mr. Mullen has served as NYSIF’s director of administration since 2006 and has more recently assumed a broader role in business operations, leading the Large Policyholder Initiative and other significant projects. Mr. Mullen also served as director of financial administration. He began his career in 1997 as a budget analyst trainee after graduating from SUNY Oneonta, studying business economics and accounting. He also has an MBA from the College of St. Rose. The New York State Department of Financial Services (DFS) announced the 2019 Paid Family Leave (PFL) employee contribution rate. Starting January 1, 2019, employees will contribute 0.153% of their gross wages per pay period, up from 0.126% in 2018. The maximum annual contribution will be $107.97. Employees earning less than the Statewide Average Weekly Wage (SAWW) of $1,357.11 will pay less than the annual cap. The raise in the contribution rate reflects an increase in the cost of coverage, which DFS said comes partly because of the scheduled expansion of benefits that will be implemented in phases over the next several years. As part of the 2019 phase, the maximum benefit rate will be 55% of the SAWW—up from 50% this year. The ceiling on allowed leave time is also increasing: eligible employees may take up to 10 weeks of PFL in 2019, up from eight weeks in 2018. NYSIF recently added features to make navigating the PFL claim process easier for employees of NYSIF disability benefits (DB) policyholders by allowing those who anticipate taking PFL to pre-file their forms to stay ahead of paperwork before their claim begins. Updated PFL-Bonding, PFL-Care, and PFL-Military forms at nysif.com offer NYSIF DB policyholders and their employees complete information and full instructions for prefiling, or full filing once leave has started. BWC launched a pilot program in October to support employers willing to hire workers struggling to overcome an addiction to opioids and other dangerous substances. The Opioid Workplace Safety Program provides up to $5 million over two years to help employers in Montgomery, Ross, and Scioto counties to hire, manage, and retain workers in recovery. BWC will partner with county Alcohol, Drug Addiction, and Mental Health boards to coordinate the pilot program. The boards will identify eligible employers and employees, disperse funding, and measure results. Reimbursement for pre-employment, random, and reasonable suspicion drug testing. Training for managers/supervisors to help them better manage a workforce that includes individuals in recovery. More information is available at bwc.ohio.gov. BWC’s chief medical officer, Terrence B. Welsh, MD, earned the prestigious Certified Physician Executive (CPE) certification from The American Association for Physician Leadership. The designation indicates that a physician has achieved superior levels of professional excellence and management education while also demonstrating effective health care industry knowledge and leadership skills. 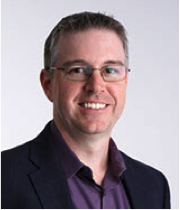 Welsh, who joined BWC in August 2017, oversees all medical components of BWC and directs medical policy. BWC’s Ohio Occupational Safety and Health Research Program funded the development of new push/pull guidelines by the Spine Research Institute at The Ohio State University. Based on biomechanics instead of psychophysics, these guidelines help employers design safe pushing and pulling tasks and reduce the risk of costly shoulder and back injuries that are the leading cause of lost work days. A mobile-friendly web app allows for on-the-spot field analysis. BWC was pleased to partner with the National Institute of Occupational Safety and Health to produce data visualization charts that display summaries of 1.2 million Ohio workers’ comp injury claims. This interactive tool, covering claims from 2001 to 2011, displays injury trends by year, industry, and diagnosis or cause of injury. This September, SAIF’s board of directors declared two dividends for customers: a $120 million primary dividend to be paid to SAIF’s policyholders, and an additional $40 million safety performance dividend to be paid based on each policyholder’s safety results. This is the ninth year in a row SAIF has returned a substantial dividend to its customers. On average, eligible customers can expect to receive 28.6 percent of the premium paid in 2017. The dividends are possible because of SAIF's overall financial results, including investment returns and favorable trends in claim costs. In addition to dividends for SAIF's policyholders, average workers' compensation costs continue to fall for Oregon employers. Since 1990, workplace safety has improved, and claims incidence has gone down 70 percent, with a similar percentage decrease in average pure premium rates. SAIF was recognized as one of the Healthiest Workplaces in America for the third year in a row. The award, presented by Springbuk, recognizes organizations for their commitment to employee health and exceptional corporate wellness programming. SAIF ranked ninth. This is the third consecutive year SAIF has placed among the healthiest 100 workplaces and the second year SAIF was ranked among the top 10. SAIF also placed first in its size category for the Portland Business Journal's Healthiest Employer in Oregon awards. This is the eighth year SAIF has finished in the top three. SAIF is bringing back our free ag safety seminars to 16 cities across Oregon this fall and winter. “We see about 1,500 injuries in the ag industry a year,” said Reva Hartenstein, senior safety management consultant at SAIF. “We created these seminars to help reduce those numbers—our goal is for every ag worker to go home safe and healthy each night." You miss a lot of life looking at your phone—and you could also be putting your life in danger. That's the message in a new video from SAIF highlighting the dangers of distracted walking. “We've heard a lot about distracted driving, but cell phones can pose a big distraction for pedestrians, too,” said Matt Krell, safety and health services manager at SAIF. To celebrate Emergency Preparedness Month in September, SAIF took the opportunity to remind Oregonians about extending their preparations to the workplace. More information—including ideas on what to pack for home, school, and your car—can be found at saif.com/prepare. The Saskatchewan Workers’ Compensation Board (WCB) is proposing a drop in its 2019 average employer premium rate to $1.17 per hundred dollars of payroll in 2019 from $1.19 in 2018. This represents a 1.7 percent decrease from 2018 to 2019. This is the 12th consecutive year the rate has dropped while improving benefits and services to injured workers and employers. Not only is the preliminary 2019 rate the WCB’s lowest rate in more than three decades, it’s also 43 percent below the 16-year high of $2.05 in 2004. Following detailed consultation with affected stakeholders, the 2019 proposed premium rate reflects the WCB’s complete transition to the enhanced rate model that was implemented in 2018. For 2018 only, to mitigate the impact of the move to the enhanced rate model, the WCB drew from the Injury Fund to help employers whose rate codes would increase as a result of moving to the enhanced rate model. For 2019, the premium rates for these rate codes will be calculated under the enhanced model. The WCB’s 2018 rate-setting sessions with employers were held October 16 and 17 to discuss rate-setting information for the coming year. There are 49,552 employers covered by the Saskatchewan WCB and 50 industry rate codes in Saskatchewan. The Saskatchewan WCB’s CEO, Peter Federko, has announced his retirement after successfully leading the WCB for almost 25 years. His official retirement date is May 31, 2019. Since 1994, Federko has played a critical role in the development and growth of the organization, successfully leading initiatives such as the provincial adoption of Mission: Zero and the creation of Safe Saskatchewan while seeing the provincial injury rate decrease; leading the organization towards greater financial stability; and stewarding through significant legislative changes and financial downturns. It was because of his stewardship that the WCB was able to absorb many changes while maintaining care of customers and the resources that have been entrusted to the WCB. Federko felt that now was the best time to announce his retirement both for him and his family, as well as for the WCB. The WCB is in a very stable place, with strong leadership and clear direction in pursuit of its vision to eliminate injuries and restore abilities. The board of directors will maintain its focus on eliminating injuries and restoring abilities while improving customer service, both during the transition and as a required skill set of the new CEO. The WCB looks forward to the continued work and connection with Federko over the coming months and wishes him the best of everything as he embarks on this new chapter. Kevin Peterson will oversee direct sales, agency relations, and small business starting October 8. Kevin comes to WCF from Nationwide Insurance in Des Moines, Iowa. During his 21 years in the insurance industry, he has held leadership roles in claims, underwriting, and sales. Kevin earned his bachelor’s degree at the University of Northern Iowa. He has also obtained the Associate in Claims and Certified Property Casualty Underwriting designations. WCF’s senior vice president, Peggy Larsen, will remain in communications and advertising at WCF but has taken on an additional role as the chair of the WCF Insurance Foundation. “Peggy is known for her compassion and expertise throughout the community, and we are thrilled she has accepted the position of senior vice president of customer and community relations,” Pickup said. “I know of no better person to oversee WCF’s philanthropic efforts.” Peggy has been with WCF Insurance for more than 24 years. She will also remain the president of WCF’s subsidiary Univantage. WCF’s Kathryn Clark has been appointed senior vice president of safety and health. Kathryn will also take on the title and duties of WCF’s chief risk officer as of January 1, 2019.